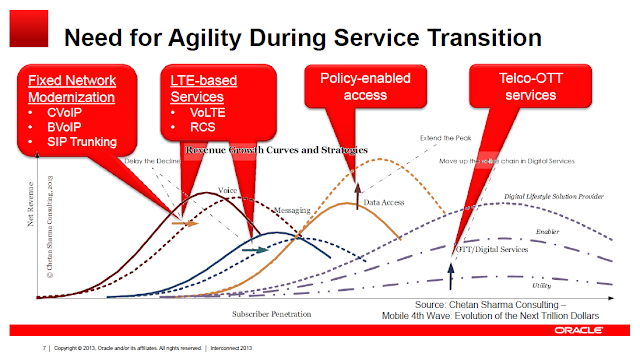 Very interesting presentation from NTT DoCoMo in the IMS workshop I blogged about yesterday. It shows their strategy to move from legacy core network to an All IP Network (AIPN). USE CASE 1 (see left in the daigram): Bob has his own Personal Area Network (PAN). While at home, this network is composed with the Home Area Network using WLAN, which in turn connects externally with a local hotspot service, which in turn connects to a cellular network. 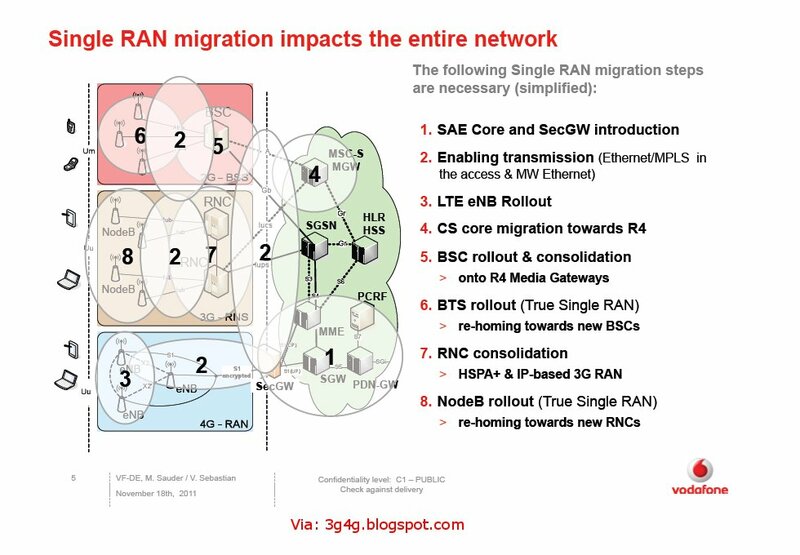 Bob's PAN, Bob’s Home-WLAN, the local hotspot service and the AIPN cellular access system are under different administrative domains. Still, if Bob moves outside coverage of his Home-WLAN, his PAN will communicate with the outside world via the local hotspot service. If he moves outside coverage from the hotspot service, his PAN will communicate with the outside world via the AIPN cellular access system. USE CASE 2: The user is driving a car. While being under good radio coverage, he starts an IMS session with several media. The car goes through a tunnel where there is no radio coverage, and comes out of the tunnel into good radio coverage a minute later. Connections using disruption resilient transport protocols are automatically re-established and these protocols restore the communication to the point they were before the interruption. USE CASE 3: Alice has a mobile device and Bob has a fixed one. Both devices have equal audio but different video capabilities in terms of screen size, number of colors and video codecs supported. Alice establishes a multimedia connection with audio and video components to Bob. The terminal capabilities are discovered and it is realized that Bob's terminal has better video capabilities than Alice. The terminal informs the network that it is unable to support new the new video codec and the AIPN then introduces a video transcoder in the path of the video media to adapt the video signal (stream, codec, format, etc) to the video capabilities and bit rates available on each side of the transcoder. Support for group communication services, e.g. voice group call, instant group messaging, and multicast delivery. In some cases, a group may include a large number of participants. Support for integrated services, e.g. a service including a mixture of services among SMS/MMS/Instant Message, or a service including voice call/video call/voice mail. Provision of seamless services (e.g. transparent to access systems, adaptable to terminal capabilities, etc) Users should be able to move transparently and seamlessly between access systems and to move communication sessions between terminals. Support ubiquitous services (e.g. associations with huge number of sensors, RF tags, etc.) ... see right side of diagram above. Improve disruption-prone situations when network connectivity is intermittent. 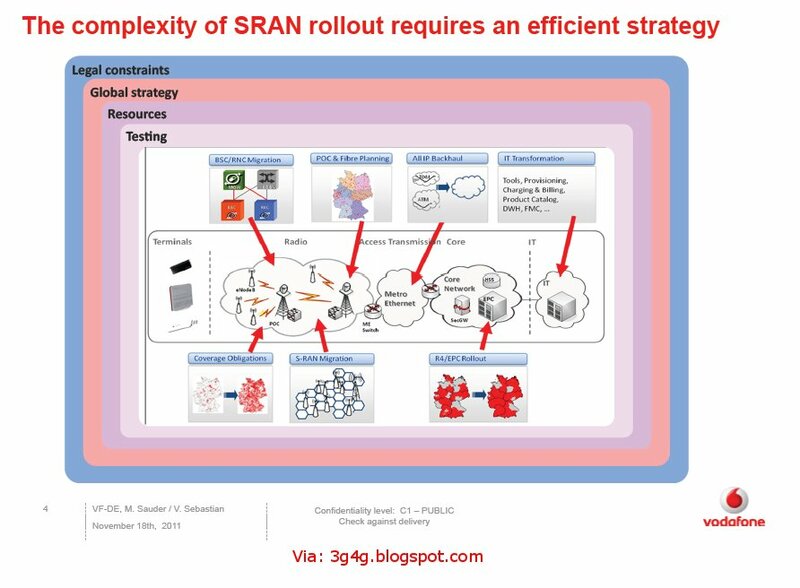 Disruption-free network connectivity may not be cost effective, or even feasible, in all cases (e.g. cell planning for full radio coverage for all services, disruption-free inter-access system handovers, disruption-free IP connectivity in all network links). An AIPN should consider solutions for making services as resilient to temporary lack of connectivity as possible. The All-IP Network (AIPN) is an evolution of the 3GPP system to meet the increasing demands of the mobile telecommunications market. Primarily focused upon enhancements of packet switched technology, AIPN provides a continued evolution and optimisation of the system concept in order to provide a competitive edge in terms of both performance and cost. Moreover, it is important that developments of the 3GPP system are compliant with Internet protocols. The AIPN is not limited to consideration of only the transport protocol used within the 3GPP system but adheres to the general concept of a network based upon IP and associated technologies, able to accommodate a variety of different access systems. 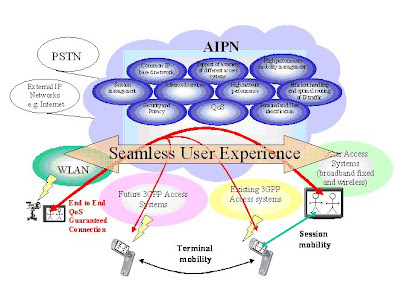 Although, it is possible to use a variety of different access systems to connect to the AIPN, the AIPN provides an advanced, integrated service set independent as far as possible from the access system used. advances of next generation radio access systems and broadband wireless IP-based networks.